The Teledyne DALSA Genie Nano comprises an impressing set of features in a robust housing. The latest CMOS sensors guarantee excellent image quality while the wide temperature range increases system reliability and endurance. Additionally, TurboDrive provides data transfer speeds previously not achievable with GigE Vision. Available with either CameraLink, standard GigE Vision or GigE Vision over NBASE-T (5 Gb/s), the Genie Nano is designed to use a range of leading CMOS image sensors, from Sony, ON Semiconductor and E2V, with resolutions from VGA to 25 megapixels. The global shutter device delivers high speed and low noise image data. 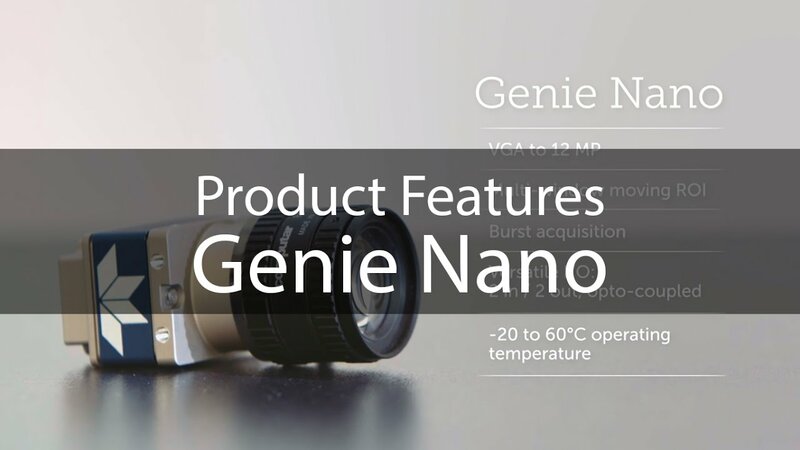 The Genie Nano is always designed with the smallest possible casing for the sensor size and data interface. TurboDrive offers a mode of operation used to push past the Gigabit Ethernet speed ceiling of typically 115 MB/s. It allows a GigE Vision camera to send pixel information at a rate in excess of 150 % of GigE bandwidth and speeding up line and frame rates beyond the nominal link capacity. While the lossless configuration excess of 150 %, a lossy configuration can excess more than 200 % of GigE bandwidth. Still all the benefits of GigE networks - like mass market components and protocols and Ethernet technology for fast and inexpensive communication for distances of up to 100 m - can be used. Engineers can therefore use proven technology, keeping design and support easy, while there's a lot of potential to increase the speed of the application. The extremely small and light-weight housing allow the design of very compact OEM and multi camera solutions. The integration into existing systems with tight spaces for the machine vision components is simplified. Thanks to the slim body length of only 21 mm, the use of more expensive angle head versions can be avoided. The slim design also leads to a general competitive advantage, when a single camera model fits all possible space requirements. The Teledyne DALSA Genie Nano features 2 inputs and 2 opto-coupled outputs, both programmable, with versatile configuration options that adapt to your needs. Implementation and integration effort can be reduced, typically reducing cost. Fewer components can also result in cost savings for repairs and maintenance. With the trigger-to-image reliability framework, the image capture process is controlled and monitored end-to-end from the trigger to the transfer to the host memory. This way data loss is clearly tracked and the reliability of the overall inspection process is improved. This helps in increasing the quality of your inspection by sorting out parts that have not been inspected due to shortfalls in the image capture process. The extended operating temperature range makes the Teledyne DALSA Genie Nano an ideal match for harsh environments. Even with temperature differences there is no need for external cooling or protective housings. As no additional components are needed to keep the camera at a suitable temperature, very compact test cells can be built. The high temperature range and high MTBF helps to extend camera life and increase system reliability. This leads to fewer or no production outages and extends the endurance of a machine. Different applications have different requirements for image acquisition and image processing. Some of these sometimes demanding requirements are high dynamic range, 10 bit pixel depth, use of the camera sensor’s highest internal read-out speed, or extending the capacity of the data throughput beyond the limits of GigE Vision by means of (lossless or lossy) image compression. With burst mode, the frame rate can be increased beyond the GigE Vision bandwidth limitation. By combining the high data acquisition rate in the large onboard image buffer and comprehen­sive cycling modes and readout control, applications with fast burst acquisition can be realised. In this mode, images can be acquired at maximum frame rate of the sensor with the data buffered on the main storage of the camera. The buffered data is only transferred during camera idle times e.g. when a conveyor belt moves forward. Multi-ROI allows the definition of up to 16 ROIs and limit the read-out of image data to the important parts of the object. This reduces the amount of data to transfer and preprocess, which saves CPU time. The cycling mode implements a method to use various different user-controlled configurations. This allows working with different light sources, lighting angles, exposure times, gains etc. for every line. That way, a single pass with a single camera delivers a high amount of information which is comparable to that of multiple cameras or combinations of camera and frame grabber. With this feature, costly and complex hardware solutions can be avoided, since e.g. multiple illumination variants of the same object increase failure detection and production security. It can also reduce inspection time in cases where various illumination set-ups are mandatory to inspect one object. The Genie Nano's are available with monochrome and colour sensors. In this series we'll be looking at the unique features that some cameras have, explaining how they work (and how they can help you). 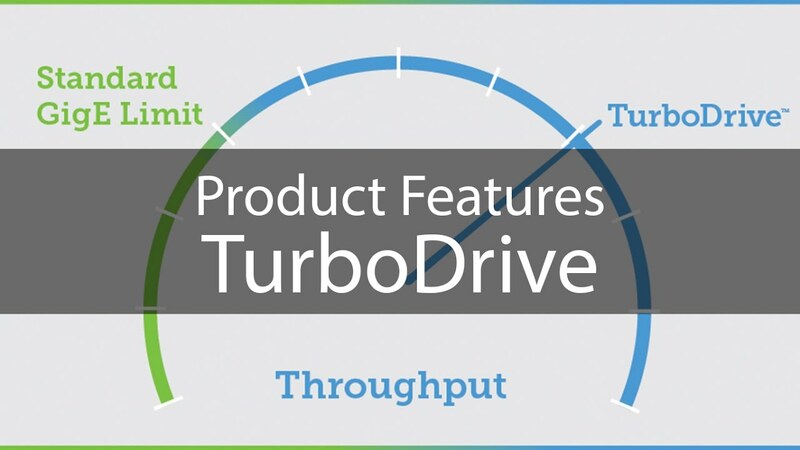 TurboDrive - a breakthrough that gives you more out of the GigE infrastructure. DALSA GENIE NANO-C1280 IRC 1.3 184 C-mount 1280 1024 1/2"
DALSA GENIE NANO-C1920 IRC 2.3 39 C-mount 1936 1216 1/1.2"
DALSA GENIE NANO-C1930 IRC 2.3 107 C-mount 1984 1264 2/3"
DALSA GENIE NANO-C1940 IRC 2.3 84 C-mount 1936 1216 1/1.2"
DALSA GENIE NANO-C2020 IRC 3.2 53.3 C-mount 2064 1544 1/1.8"
DALSA GENIE NANO-C2050 IRC 3.2 82 C-mount 2064 1544 1/1.8"
DALSA GENIE NANO-C2420 IRC 5.1 34.4 C-mount 2464 2056 2/3"
DALSA GENIE NANO-C2450 IRC 5.1 49 C-mount 2464 2056 2/3"
DALSA GENIE NANO-C2590 IRC 5.3 42.7 C-mount 2592 2048 1"
DALSA GENIE NANO-C4020 IRC 12.4 21.4 C-mount 4112 3008 1.1"
DALSA GENIE NANO-C4030 IRC 8.9 29.6 C-mount 4112 2176 1"
DALSA GENIE NANO-C640 IRC 0.3 720 C-mount 672 512 1/4"
DALSA GENIE NANO-C700 0.4 310 C-mount 728 544 1/3"
DALSA GENIE NANO-C700 IRC 0.4 310 C-mount 728 544 1/3"
DALSA GENIE NANO-C800 IRC 0.5 461 C-mount 832 632 1/3.3"
DALSA GENIE NANO-M1280 1.3 184 C-mount 1280 1024 1/2"
DALSA GENIE NANO-M1280-NIR 1.3 184 C-mount 1280 1024 1/2"
DALSA GENIE NANO-M1920 2.3 39 C-mount 1936 1216 1/1.2"
DALSA GENIE NANO-M1930 2.3 107 C-mount 1984 1264 2/3"
DALSA GENIE NANO-M1930-NIR 2.3 107 C-mount 1984 1264 2/3"
DALSA GENIE NANO-M1940 2.3 84 C-mount 1936 1216 1/1.2"
DALSA GENIE NANO-M2020 3.2 53.3 C-mount 2064 1544 1/1.8"
DALSA GENIE NANO-M2050 3.2 82 C-mount 2064 1544 1/1.8"
DALSA GENIE NANO-M2420 5.1 34.4 C-mount 2464 2056 2/3"
DALSA GENIE NANO-M2450 5.1 49 C-mount 2464 2056 2/3"
DALSA GENIE NANO-M2450 POLARIZED 5.1 24 C-mount 2464 2056 2/3"
DALSA GENIE NANO-M2590 5.3 42.7 C-mount 2592 2048 1"
DALSA GENIE NANO-M2590-NIR 5.3 42.7 C-mount 2592 2048 1"
DALSA GENIE NANO-M4020 12.4 21.4 C-mount 4112 3008 1.1"
DALSA GENIE NANO-M4030 8.9 29.6 C-mount 4112 2176 1"
DALSA GENIE NANO-M640 0.3 720 C-mount 672 512 1/4"
DALSA GENIE NANO-M640-NIR 0.3 720 C-mount 672 512 1/4"
DALSA GENIE NANO-M700 0.4 310 C-mount 728 544 1/3"
DALSA GENIE NANO-M800 0.5 461 C-mount 832 632 1/3.3"
DALSA GENIE NANO-M800-NIR 0.5 461 C-mount 832 632 1/3.3"